The Archimedean spiral is a spiral named after the Greek mathematician Archimedes. with real numbers a and b.
Commodore BASIC 2.0 lacks in-built graphics capability. This implementation is written for Commodore BASIC 7.0 that was built into the Commodore 128 computer. Should also work for Commodore BASIC 3.5.
print "Welcome to the Arch-Spiral Program"
print "Thank you and Goodbye"
Works with the unexpanded (1k RAM) ZX81. 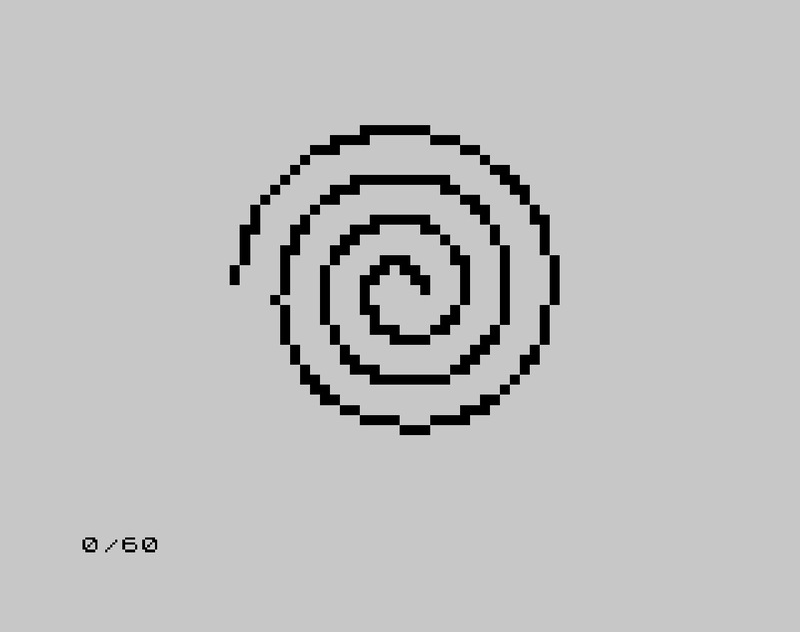 The output is quite blocky, but identifiably a spiral. Interactive code which asks the parameters a and b as inputs, the number of cycles and the division steps. Requires the WinBGIm library. g.Save(); // is this really necessary ? Common Lisp doesn't provide native graphical output. Libraries or bitmapped output could be used instead, but for this solution, the output is accomplished with character printing. "Returns a list of coordinates for r=a+b*theta stepping theta by step-resolution"
Output is here due to Is file uploading blocked forever? Creates a PNG file using only built-in packages. // lps - number of loops, clr - color. 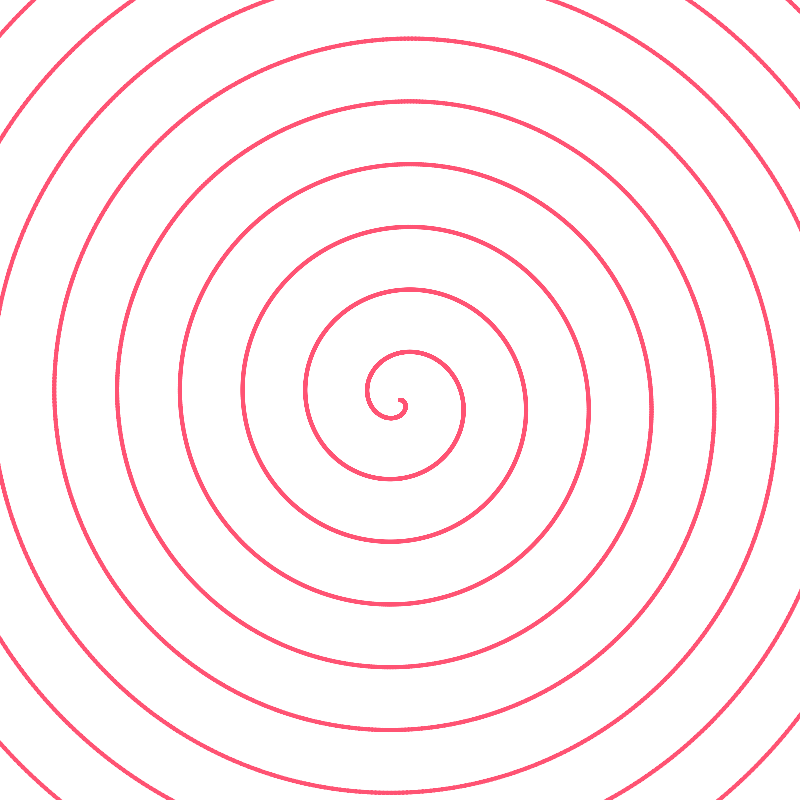 spiral as a png-file, for example. Note: cartes2() can be found here on PARI/GP page. This REXX version allows the user to specify (or override) the various constants used to calculate and display the spiral (plot). Note: the value of a doesn't mean that much as the plot is automatically centered. // Constants defining the spiral size. 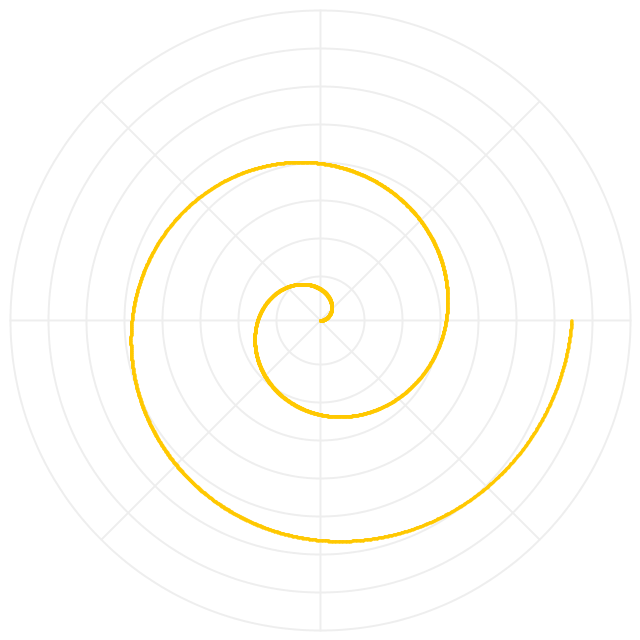 // max_angle = number of spirals * 2pi. ttk::label .legend -text " r = a + b θ "
ttk::label .label_a -text "a ="
ttk::label .label_b -text "a ="
5 OPEN WINDOW 320, 200 : WINDOW ORIGIN "CC"
This page was last modified on 12 April 2019, at 04:18.